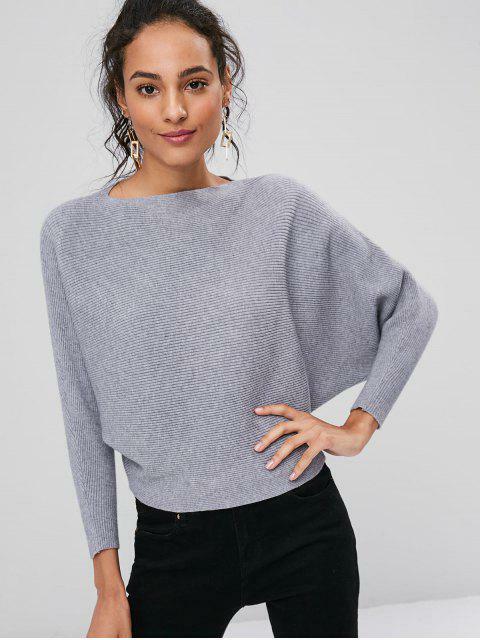 [40% OFF] 2019 Ribbed Dolman Sleeve Sweater In GRAY | ZAFUL .. I loved the sweater!! Very pretty and soft as well. Recommended. Dolman sleeve sweater made in the softest fabric. We love this sweater for its softness and warmth and this very comfortable sweater has no armhole seams! We promise you will not want to step out of this one. It gains a bit of an unstructured look from dolman sleeves and horizontal ribs.